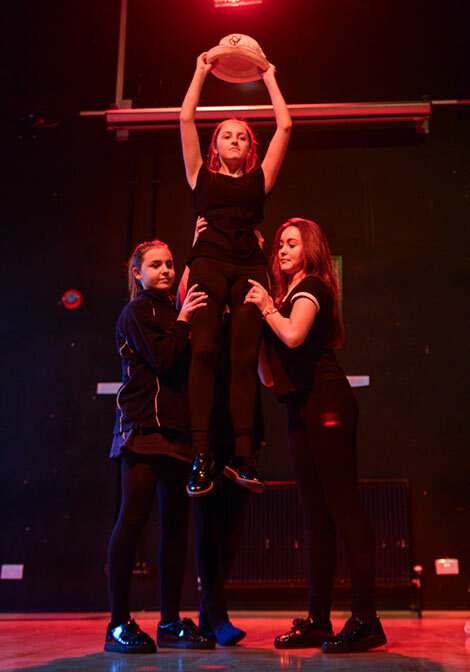 The Dance and Drama department encourage students to achieve their potential, offering an inclusive, inspiring, motivational environment for students to develop their creativity. 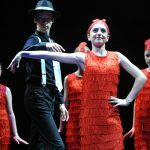 Although Dance and Drama are not identified as foundation subjects within the National Curriculum, all schools are required to teach it, as part of English and Physical Education, in Key Stages 1 – 3. St Nicholas Catholic High School, along with the teachers of these subjects, believes that they should be taught as discrete art forms. The emphasis on practical work necessitates a continuous form of assessment, whether formative or summative. Practical assessments at Key Stage 3 are every half term and are written in the Schemes of Work. The theory of Dance and Drama is also examined via in-house exams in all years. At GCSE and A Level, the assessment policy is based on the examination requirements as shown in the syllabus. BTEC assessments are set by the staff and units are assessed each term. The assessment requirements are outlined in the syllabus. In-house formative assessment takes place each half term to ensure students are fully prepared for their practical and written examinations. Home work takes the form of research, learning of lines, choreography, rehearsing retunes, gathering materials and costumes. Students at KS3 have Dance and Drama booklets to assist with set homework. At KS4 and 5 there are additional written work requirements such as: rehearsal log books, exploration notes, reviews of live theatre/dance performances and set text essays. We work closely with the Music department and have a thriving extra-curricular programme which incorporates Dance and Drama and Musical Theatre clubs, at least one annual school production, regular theatre visits, public examination performances, visiting workshops and performances from professional actors and theatre companies, and an end of year showcase and much more. We encourage all students to participate in some way in the Performing Arts, whether it be on stage or behind the scenes. At Key Stage Three students experience Dance and Drama lessons twice fortnightly. Students study using the methods of making, performing and responding as core elements and achieve levels ranging from grades 4 – 9. Year 7 introduces students to key concepts in Dance and Drama. Projects are designed to set a foundation for progression during the rest of KS3. Year 8 lessons focus on building skills in Dance and Drama. The key concepts will continue to develop and projects are intended to stretch students in the making and performing elements of the subjects. Year 9 projects offer students a bridge between Key Stage 3 and 4. There is an emphasis on responding to material, making and performing own work and repertoire of performances. Students can choose to study OCR GCSE Drama and Edexcel BTEC Level 2 Performing Arts. GCSE DRAMA is comprised of three Units. We offer two courses at Sixth Form. AQA A Level Drama & Theatre Arts and Edexcel BTEC Level 3 Subsidiary Diploma in Performing Arts. Units 2 – 6 are chosen by the staff and each year depending on the individual talents and interests of the students.